Build a Desktop PC with just Gigabyte AORUS Components! Save up AORUS fans! As Gigabyte expands their product line-up, it is now officially possible to build a full desktop computer (less the CPU) just with Gigabyte products! 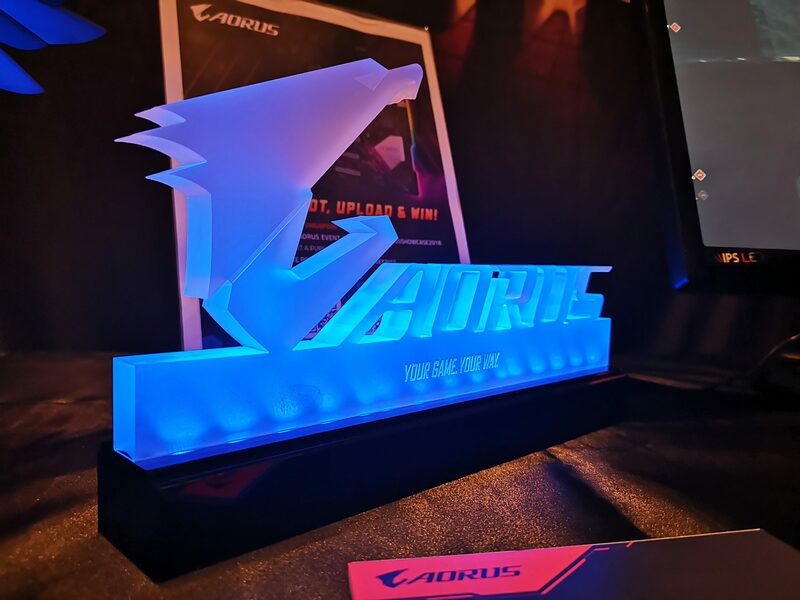 At the 2018 Gigabyte AORUS Showcase held at Carlton Hotel Singapore yesterday, a full suite of PC component products were shown off in their full glory. From the products targeted in the mid-market segment to expensive flagships, there will be something that will suit every user out there. Let’s take a look at the range of products shown! If you are interested to find out more, you can view our coverage of Gigabyte and AORUS products in the past year here. Still dont see any case fans yet sold separate . So too me a complete Aorus build is still not possible. That’s true. Even though the AORUS cases comes with fans, they could be insufficient.